The Scene Listen: The Singapore Tatler Team Tell-all, From Scoring That Cover Shot To... "Human Camels"
Listen: The Singapore Tatler Team Tell-all, From Scoring That Cover Shot To... "Human Camels"
As the Singapore Tatler team, we're the ones with probing (sometimes kaypoh) questions. But for once, someone else is asking us all the questions. Kenn Delbridge, the voice behind "Know or Not?" 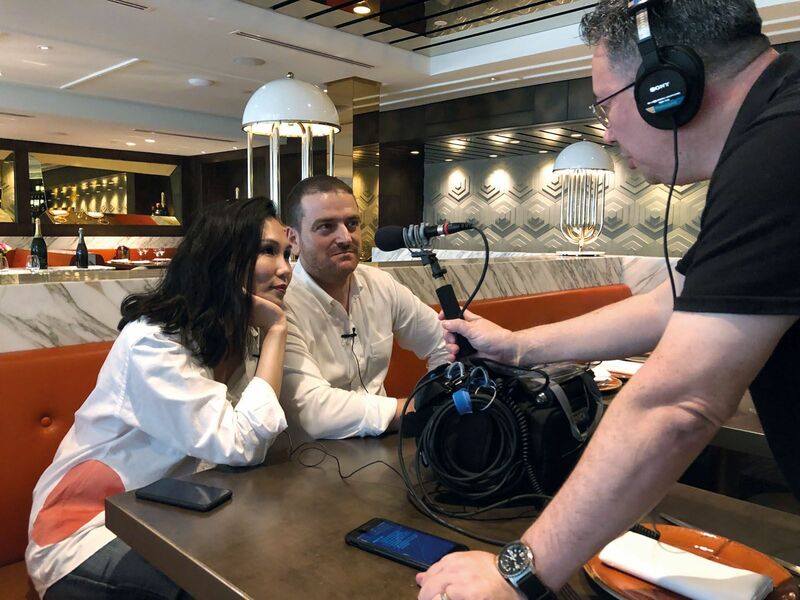 podcast series was invited behind the scenes of the February 2019 cover shoot, featuring power couple Beppe and Lynn Yeow De Vito. The result? A podcast episode that will debut an eight-part series that explores the creative community in Singapore from photography to music and art. In the 20-minute episode, Kenn interviewed the Singapore Tatler team: Editor Terence Lim, Art Director Matilda Au, Fashion Director Desmond Lim, and one of our favourite photographers Darren Gabriel Leow. Find out what the process of creating a magazine cover is, misconceptions about the fashion and publishing industry, how we know when we've shot "the one", and yes that human camel quote. Was it a big boost after I got my first [Singapore Tatler] cover? That would be a definite yes.